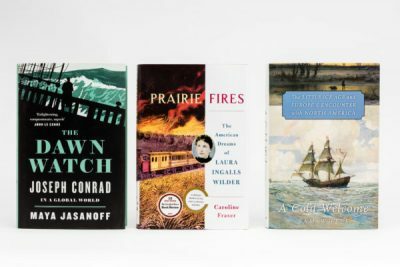 In Canada, the finalists have been announced for the Cundill History Prize, which rewards ‘the best history writing in English’. A Cold Welcome: The Little Ice Age and Europe’s Encounter with North America (Sam White, Harvard University Press). Winning US$10,000 (A$13,880) each, the three finalists are now in the running for the grand prize of US$75,000 (A$104,120), which will be announced in Montreal on 15 November. Administered by McGill University in Montreal, the Cundill Prize is awarded annually to an individual from any country for a book that has had or is likely to have ‘a profound literary, social and academic impact in the area of history’. For more information about the prize, visit the Cundill Prize website.